When it comes to gluten-free baking, I almost never opt for frosting atop my gluten-free baked goods. Most of the time it is dairy containing, and even if dairy-free or vegan, it's usually a turn off. After all, vegan frostings tend to be too stiff, too sweet, and too distracting from the baked goods they sit atop. 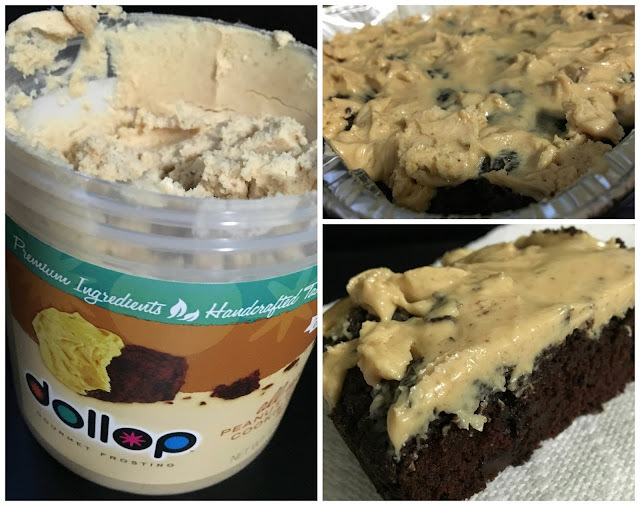 Before discovering Dollop Frosting, I had all but lost hope that I would ever be able to use store-bought frosting to dress up my brownies, cookies, and more. Every jar of frosting I picked up before was so chalk-full of sugar and weird additives that I just assumed a clean, gluten-free, vegan version was just a dream. 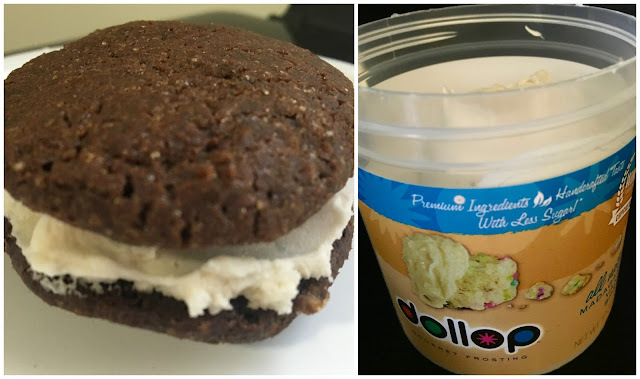 Luckily, dreams do come true and a frosting product really is out there that is allergen-friendly and actually performs perfect as a spreadable, soft, and entirely worthy of being a sweet treat in it of itself. 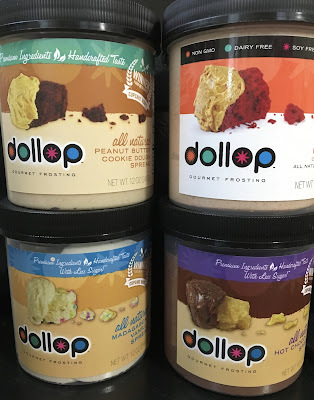 In four distinct, yet versatile flavors, reviewing Dollop turned into an exercise in creativity, which required me to think outside the jar and dream up frosting-worthy creations. In short, each jar is quite literally a culinary miracle for allergen free folks. Already dreaming of how you will spread the goodness? Let's take a closer look at each of the frostings. If there's anywhere to start, it has to be the peanut butter cookie dough frosting, which combines two of my favorite flavors. This flavor does contain peanut butter, so is off limits for nut allergy folks. Perfect atop anything chocolatey, I paired the frosting with brownies, chocolate chip cookies, pretzels, and even apples, and it performed beautifully with all of the above. Vanilla typically is associated with blandness, but here, this spread is not boring in the least, and made for a perfect pairing with ginger cookies to create a cookie sandwich. I liked the creaminess and simplicity of the vanilla, which was assertive, but played well with whatever I paired it with. A cross between marshmallow fluff and vanilla ice cream, this one definitely would be a people pleaser for kids and adults alike- and I definitely found myself sneaking spoonfuls straight from the jar. Because I loved the first two frostings I tried, the hot chocolate was a little bit of a disappointment for me, but I suspect it was more because of my sky high expectations rather than the actual product itself. It definitely is chocolatey, but not as intensely as I expected. While all the frostings were oily, this one was exceptionally so, and after a day of leaving cupcakes out, there were dark brown pools of oil collected on them, which made for unappetizing cupcakes (this may have been avoided by storing them in the fridge overnight). Because of time limitations, I haven't gotten to the cinnamon spice spread yet, but will update this review as soon as I clear away a backlog of reviews that have jammed up recently. Although I don't think I will be a regular purchaser of Dollop's Frosting, I definitely will be picking up a jar or two whenever a special occasions calls for jazzing up my baked goods. 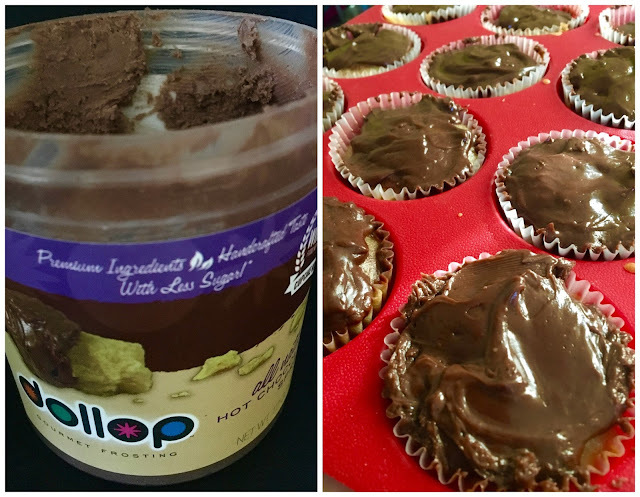 While a bit oily, the frosting definitely is a one-of-a-kind product that fills a large gap in my gluten and allergen-free baking arsenal. The vanilla and peanut butter cookie dough spread definitely were the two standouts, and will be the ones I indulge in again. For more information about Dollop Gourmet, click here.